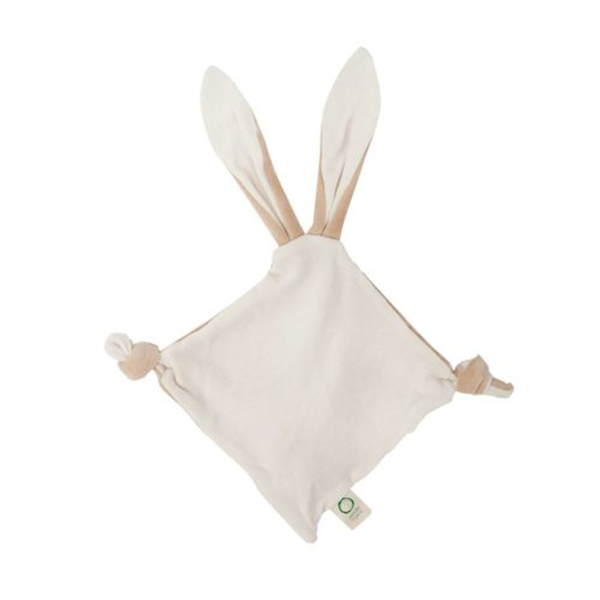 This soft snuggle comes with a lovely natural wooden teething ring to provide comfort and relief during teething, and gives plenty of bunny hugs to their new best friend. 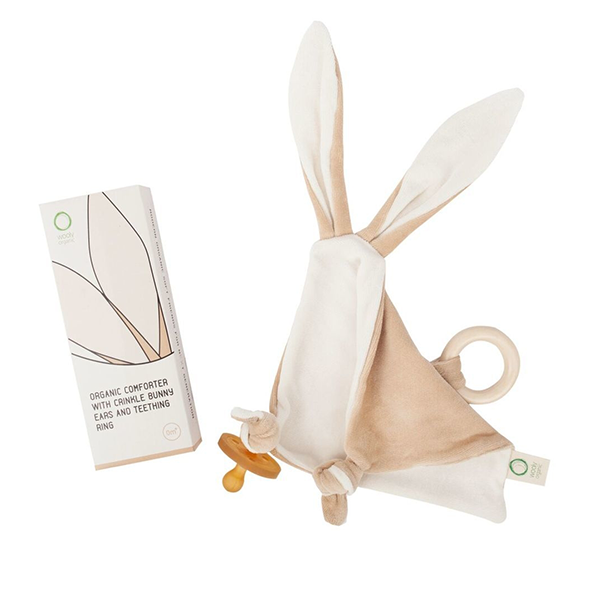 The fun bunny ears are made using 100% organic cotton fabric with a crinkle inner which is a perfect stimulant for sensory learning. 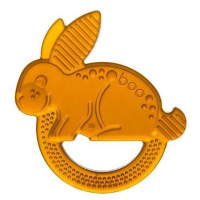 The teething ring is made in Germany from maple hardwood treated with organic beeswax, perfect for baby to safely chew on and play with. It is possible to tie his paws in knots around the soother so the comforter will become a dummy holder as well. The natural antibacterial nature of wood means that it can simply be cleaned with water and a mild soap. 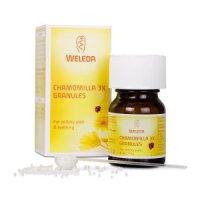 100% Organic Cotton; Filling cotton fibre. Teething ring maple hardwood. Made in Baltic states (EU).